Lars Von Trier is back with another film that pushes the boundaries of good taste, a provocative meditation on art and beauty, told through the eyes of a sadistic serial killer as he journeys down into the depths of hell itself. 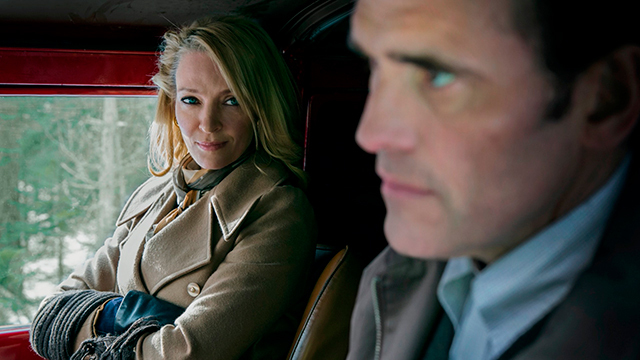 Provocative from the off, The House That Jack Built starts off in a typically low-key manner. Introduced to Matt Dillon as the unassuming architect of the title, the scene is set in voiceover only, as Jack and a mysterious being known as Verge (Bruno Ganz) discuss Jack’s life, and what has led him to this point. Told over the course of five key incidents from his adult life, we discover that Jack is a serial killer, one troubled by obsessive compulsive order and an endless need to inflict violence and torture upon his victims. As one would expect from a Lars Von Trier film, there’s no holding back on the gorier, seedier aspects of the story – Von Trier’s script and direction pushes every nasty little moment to the forefront, depicting every cut and kill in wincing detail, a never-ending cavalcade of unpleasantness infecting every inch of what we see on screen. Granted, the first half hour or so is interesting, carefully balancing black humour and careful character study with brutal violence, as Jack begins to get a taste for the power and thrill murder gives him. But upon reaching the third ‘incident’, any sense of drama or engagement goes out the window with a cold and savage display of barbarism that has no justification. It’s a moment designed to shock, and shock it does, but it only serves to diminish Jack, up to this point a strangely charismatic and likeable killer, into nothing more than an inhuman and unrelatable caricature. The script and direction demand we stay on side, but the acts of violence we witness from hereon in do nothing but leave a sour taste in the mouth and a sick feeling in the pits of the stomach. From there, Von Trier’s tale constantly tries to outdo itself, presenting all-manner of depravity with a gleeful spring in its step. Sadistic animal abuse, houses made of corpses, sickening human taxidermy, vivid mutilation, psychological torture and, of course, visceral flesh ripping and blood by the bucket load – it’s all here and on show. Von Trier constructs Jack’s character using an amalgamation of serial killer tropes that never tie up together in a way that is interesting or involving, instead spending as much time as possible in pushing the limits of taste through Jack’s brutal murders. It wouldn’t be as insufferable were every moment of pitiless carnage not accompanied by constant reams of ostentatious dialogue – long, boring ruminations and over-elaborate, snore-inducing conversation, forced in as a way to justify the amount of depraved violence onscreen. Von Trier peppers these lectures with a hefty mix of animation, CGI, photographs, stock footage and even clips from his own back catalogue of films. Sometimes it works. Oft-times though, it merely appears self-indulgent. 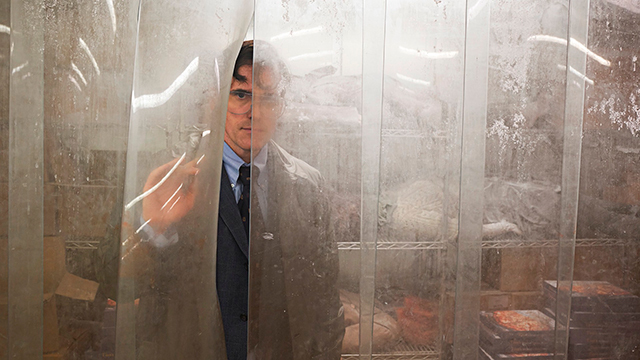 Matt Dillon may put in a creepy, unsettling turn as Jack, but ultimately, The House That Jack Built has little to offer than scene-after-scene of unbearable, gratuitous violence and bestial depravity. Designed to provoke and sicken with its seemingly never-ending conveyor belt of unpleasantness, Von Trier succeeds in this respect, but it’s a film that won’t win itself any favours with most audiences, thanks to its narcissistic self-importance and its hybridised collection of tired serial killer concepts.